My father purchased a Five Star 500mm lens at a garage sale for $5 today. I've done a little research on the lens but can't find anything REALLY helpful. I am hoping I can adapt this lens to my Nikon D70. I would like info an adapters and settings to help me get the best images from this lens if at all possible. 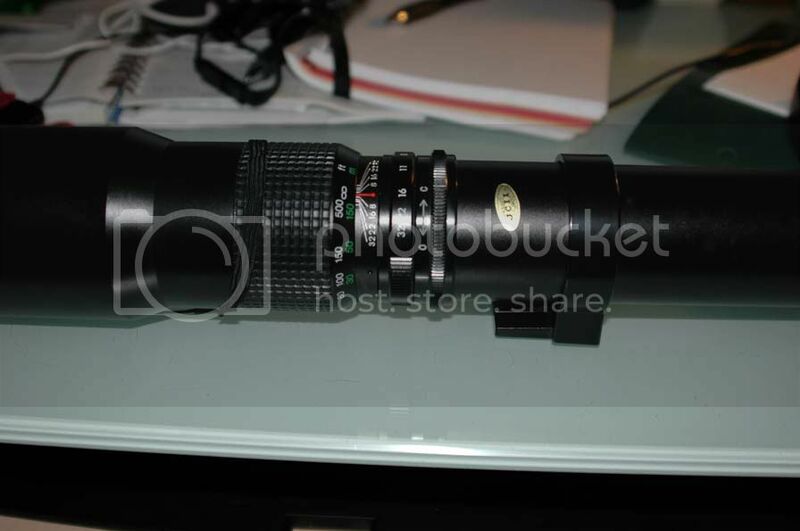 I would love to do some nice lunar pics and possibly some nature photography with this lens. Any recommendations, advice, and overall knowledge about this possible combination would be very useful. Thanks! P.S. I am NOT a professional and it has been some time since something has piqued my interest in photography. I am not looking to make any money from it, but I would like to produce something nice to share with family and friends. However, if it's not a good lens, please do not hesitate to tell me. If it seems something I could reasonably work with, let me know! It might be a T-Mount lens, meaning that it has a removeable lens mount so it can be attached to any SLR or dSLR with an appropriate T-Mount adapter. 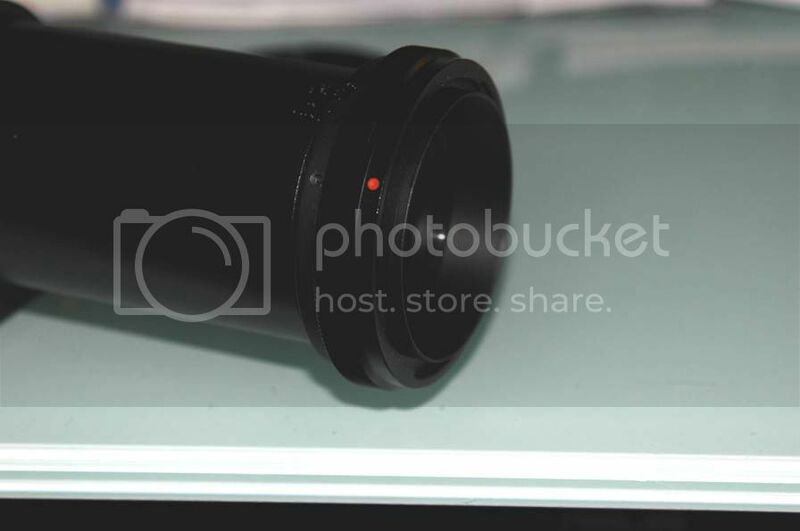 Can you take some photos of the lens and post them here? The lens is the thing. 'Full Frame' is the new 'Medium Format'. "One good test is worth a thousand expert opinions." - Tex Johnston, Boeing 707 test pilot. But, your Nikon D70's meter won't work with non-CPU lenses. So, you'd need to use manual exposure and estimate the ISO speed and Shutter speed needed for proper exposure without a meter to help out (i.e., take test shots to get it right). Here are a few pics. Images are on Photobucket - hope they show up for you! Hope this helps! And thanks for you. My next question will be about mounting. This lens does have a tripod mount. Will I need two tripods for the camera and the mount? Sorry for so many questions. I just don't want to mess up my Nikon by using a $5 lens. I can't tell for sure if that's a T-Mount or not, but http://olympuszuiko.wordpress.com/20...500mm-f8-lens/ says the Five Star 500mm lens is a T-Mount lens, and it won't cost much to confirm it. Some lenses have their own tripod mount because they're too big and heavy to be supported by just the lens mount on the camera. But the lens mount on the camera is strong enough to support the weight of the camera. So you can mount the lens on the tripod without also mounting the camera on a tripod. Excellent, thank you. Good article too. Appreciate all your help. I'll let you know how it goes. have you found an adapter for this? Hi, i have the same lens. 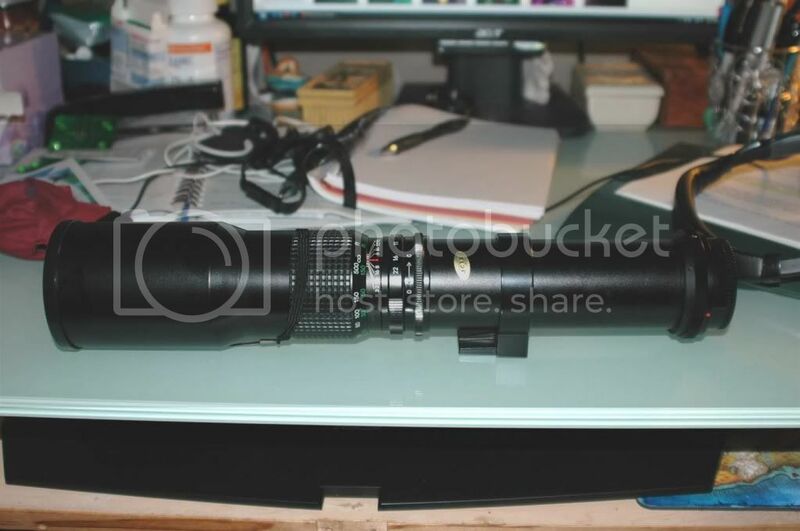 Have you found a nikon adapter for this? I just picked up this lens at a flea market for $8. I'm really excited to try it out. This particular one has a P/K mount. I have couple of these EF adapters already for my pentax glass. Initial tests came out rough. Make sure you use a pair of sticks, keep aperture at 32 and use open/close ring ( O<-------->C) to adjust opening of Aperture to frame. Best results in bright daylight. More use will likely reveal something sweet about this long and super lightweight lens. Inexpensive refractive super-telephoto lenses tend to have A LOT of chromatic aberration. This is only ever a real problem when shooting high-contrast subjects. I'd call the Moon on a black sky a high-contrast subject.